All queries on rights and licenses, including subsidiary rights, should be addressed to the United Nations Economic and Social Commission for Western Asia (ESCWA), e-mail: publications-escwa@un.org. The findings, interpretations and conclusions expressed in this publication are those of the authors and do not necessarily reflect the views of the United Nations or its officials or Member States. 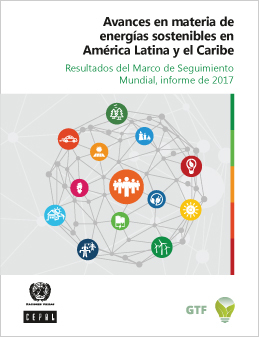 Este documento fue elaborado por la Unidad de Recursos Naturales y Energía de la División de Recursos Naturales e Infraestructura de la Comisión Económica para América Latina y el Caribe (CEPAL). Dicha elaboración estuvo a cargo de Beno Ruchansky, Consultor Superior de la Unidad de Recursos Naturales de la CEPAL y de la iniciativa Marco de Seguimiento Mundial, del Banco Mundial, con la contribución y bajo la supervisión de Manlio F. Coviello, Jefe de la misma Unidad. The attainment of the sustainable energy targets in the 2030 Agenda for Sustainable Development (2030 Agenda) is not on track, either globally or in the United Nations Economic Commission for Europe (UNECE) region. Unless there is a significant acceleration of efforts and outcomes to ensure quality access to energy that is affordable and that meets the environmental, social, and economic imperatives of the 2030 Agenda, the international community will fall short of its ambitions and its commitments. United Nations Economic and Social Commission for Asia and the Pacific (ESCAP) is the regional development arm of the United Nations and serves as the main economic and social development centre for the United Nations in Asia and the Pacific. Its mandate is to foster cooperation among its 53 members and nine associate members. ESCAP provides the strategic link between global and country-level programmes and issues. It supports governments of the region in consolidating regional positions and advocates regional approaches to meeting the region’s unique socioeconomic challenges in a globalizing world. 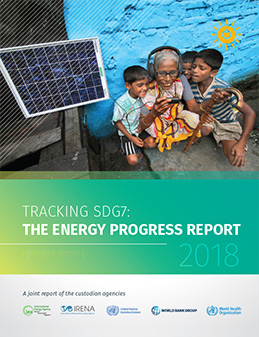 The second edition of Sustainable Energy For All (SE4All) Global Tracking Framework provides an update on how fast the world moved toward sustainable energy goals between 2010 and 2012. It tracks progress toward universal access to modern energy, doubling the rate of energy efficiency improvements and doubling the share of renewable energy consumption in the global energy mix. The report also assesses whether the world is moving fast enough to achieve those goals by 2030. 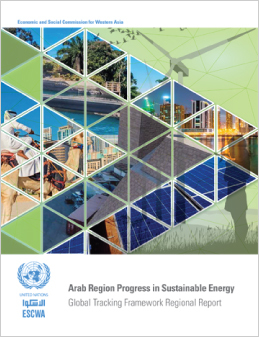 The first SE4All Global Tracking Framework identified indicators that track progress toward the SE4All objectives of universal access to modern energy, doubling the rate of energy efficiency improvements and doubling the share of renewable energy consumption in the global energy mix. It draws on data from more than 180 countries, which account for more than 95 percent of the world's population. The report also documented the evolution of the indicators between 1990 and 2010 to provide a baseline for assessing progress in the next twenty years.